Managing electricity and natural gas expenses can be very challenging for our members given market volatility, confusing options and lack of industry transparency. Our energy program is designed specifically to provide value to ACCA members and to the ACCA itself. We have chosen 8760 as our trusted partner to facilitate and support our energy program. Their team of experts are here to provide you with the very best in price, service and solutions that are designed to help your organizations effectively manage your energy expenses. The 8760 team of experts is here to provide you with the very best in price, service, advice and solutions that are designed to help your business with its energy needs. Feel free to explore the 8760 website to get an understanding of 8760’s expertise and the services they offer. You will find they are experts in their field. To get started click the ASSESSMENT link below. Our Energy Check Ups are a quick, easy, and a non-intrusive process that will allow 8760 to determine if there is opportunity to help your organization save. If you are currently in a favourable position, 8760 will confirm that. If you are not, 8760 will work with you to identify opportunities to save you money, create cost certainty or both. It really is a no-lose proposition. Ian Ball grew up on a farm in Central Alberta and developed a strong work ethic and an appreciation for building something with your own two hands at a very early age. With over 20 years in the credit card industry and a passion for personal success, Ian cofounded 8760 with his business partner in 2004. A professional accountant by trade, Ian revels in the details that others often overlook and takes great pride in helping his customers reduce their expenses and improve their bottom line. 8760 was founded on the premise of providing ethical, transparent solutions and to ensure a win-win is achieved for our customers and 8760 – Ian lives these values each and every day. Outside of work, Ian is a devoted family man, loves sports, enjoys a nice glass of wine and is known to wager the odd dollar in Vegas. Eric is a sports fanatic and understands what it takes to be a winner whether he is betting his hard earned cash on one of his favorite sports teams, playing golf, throwing a curling rock or encouraging one of his four kids on the playing field. Eric brings the same kind of passion for sports to his life in sales. Using his 17 years of business development experience in oil and gas, financial services, agriculture retail and a life long tenure on the family farm, Eric uses his well-rounded view of the world and business to create win-win scenarios for his clients. Down to earth but highly capable, Eric brings a customer-first attitude to his client relationships and his approach can be summed up in one of his favorite quotes “Try not to become a man of success. Rather become a man of value.” (Albert Einstein). Outside of work, Eric is active with his wife and kids in a variety of sports, camping, and giving back to his community through his volunteer work. Having grown up on a farm in southern Alberta but spending much of her adult life in the City of Calgary, Nicole is as comfortable kicking the tires on the family tractor as she is taking in some live theater on Stephen Avenue. Nicole’s well rounded look of the world is also reflected in her well rounded career. With over 18 years of marketing and sales experience in agriculture, petroleum and the power/gas industries, Nicole understands what drives Alberta’s economy and how business gets done. Her focus is to work closely with her clients to understand what will move their business forward and then finds a solution to deliver results. At 8760, our motto is “We win when our customers win” which aligns perfectly with Nicole’s personal motto of “When my customers are happy, I am happy.” Outside of work, Nicole loves exploring the great outdoors through camping, hiking and snowshoeing with her husband along with exploring the next great wine to add to her collection. 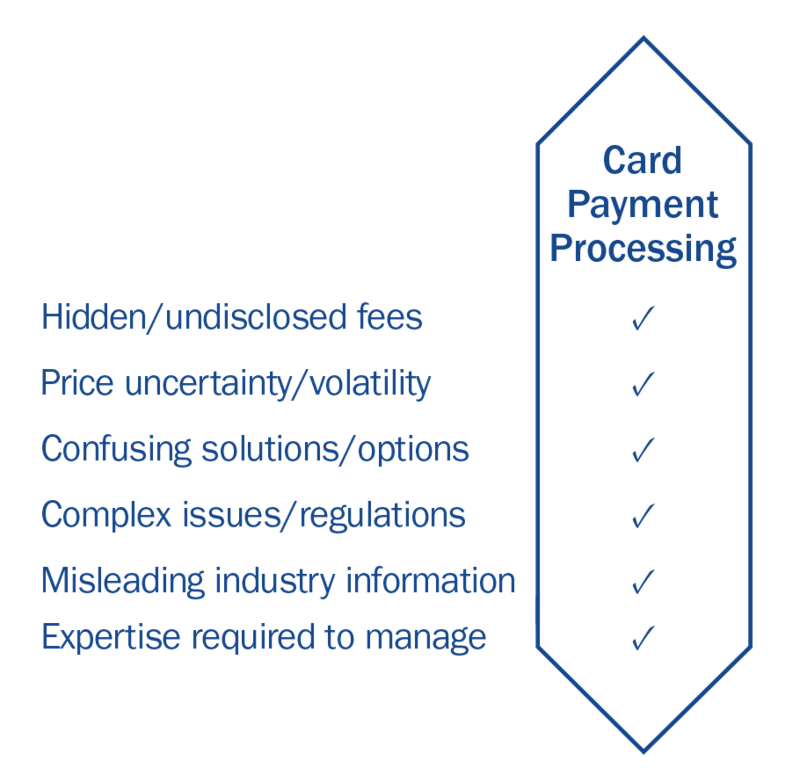 Unfortunately, the card payment business is rife with misinformation, confusing pricing, and a variety of complexities. This makes it very difficult for businesses to know if you are paying too much for the services you are utilizing. 8760 helps businesses understand exactly how the payment industry works and where you can save money if you are being over charged. Thank you for filling out the form below. The information you provide will help us prepare to contact you and discuss your needs. Most fields are optional to make completion as fast as you want it to be. After submitting your form you can expect to be contacted by us within 2 business days. For immediate assistance please call us toll free - 1-888-988-8760. If you do not know your end date, you can contact your cellular provider for more information. Voice Only devices do not have cellular data plans. Mark this box YES if you only want voice and text service. Jesse is a mad scientist, an athlete and a wannabe-comedian wrapped up in a 6’ 7” frame making him one of the most interesting people on the 8760 team. His Education degree with a major in mathematics coupled with his very outgoing personality provides him with the unique ability to combine problem solving skills with a friendly, customer-focused communication style. With over 15 years of customer service experience and a desire to please, Jesse is in the perfect role as Director, Customer Service with 8760. Jesse has a strong sense of fairness and balance which drives him to ensure that 8760 lives up to our brand promise: we win when our customers win. When Jesse is done helping customers, he enjoys biking in the Edmonton river valley, dominating a middle position on the volleyball court and improving his (terrible) golf swing. To assist us in customizing a plan that fits your business you may upload a copy of your electricity/natural gas bills and/or your credit card merchant statements. To assist us in customizing a plan that fits your business you may upload a copy of your electricity/natural gas bills. Joel Gilroy is a transplanted Bostonian who takes great pleasure in talking about his Bruins, Red Sox and Patriots despite moving away prior to their recent run of championships. A sports fan at heart, Joel understands the value of team play and working with his clients to find a win-win situation. With over 15 years of experience in the energy industry, Joel brings a wealth of knowledge to the table and is able to formulate a winning game plan with his clients to put their business in the best position possible with respect to their energy expenses. Outside of work, when he isn’t indulging in the local music scene, Joel enjoys hitting the links, hitting the ice and hanging with his 2 teenaged kids. Pierre Vandendooren has a passion for the outdoors, living life to the fullest, and seeing his family and friends succeed. As co-founder of 8760 in 2004, Pierre espouses a leadership philosophy of “balanced success” and his focus is to inspire employees to be the best they can be in life and in their quest to take care of our customers. A professional accountant by trade, Pierre has over 30 years of experience in the energy industry and has literally journeyed from the trenches all the way to the boardroom, and every stop in between. Pierre cofounded 8760 on the principal that he wanted to use his in-depth knowledge to help our customers gain a deeper understanding of the energy markets and to help them achieve cost savings and/or cost certainties on their energy expenses. That focus and desire to help still guides 8760 today. On the weekends, Pierre can be likely be found with a fly fishing rod in hand, working on his putting game or sharing quality time with his wife and young daughter. Josh has a unique way of looking at things and some of that perspective comes from his world travels and his personal desire to continually learn and grow. Inspired by his knowledge that people see things differently based on their own unique circumstances, Josh takes great pride in helping educate his customers on the ins and outs of the electricity and natural gas markets as they work together to formulate strategies designed to generate cost savings and/or cost containment based on each customers’ specific business challenges. By putting on “his customer hat”, Josh looks for win-win opportunities on a daily basis that will provide real value to his client relationships and also ensure his own personal growth and satisfaction. When he is not helping his clients, Josh loves all things sports be it watching his beloved Indianapolis Colts, cycling in a road race for a charity event or perfecting his draw on the golf course. He also enjoys seeking out new cultural experiences in his world travels and expanding his perspective and knowledge even more. Suzanne Dodd is a seasoned sales expert who has a passion for seeing things grow – literally! Whether in the garden attending to her plants or working with her clients, Suzanne’s is driven to help every situation be the best that it can be. As a result of her determination and her commitment to always put her customers’ best interest first, 8760 has seen incredible growth with our WD co-auto dealer program which provides auto dealerships cost savings on their credit card processing and energy expenses. With over 20 years of sales experience and a deep understanding of the automobile industry, Suzanne can easily relate to the challenges and opportunities that our dealer partners face and she finds ways to help reduce their operating expenses on a daily basis. When she is not nurturing growth at home or at work, Suzanne loves to explore new worlds through her travels with her husband and young son. To carve out success in the world of sales, one typically needs to have the competitive fire and an insatiable desire to win – much like the world of sports. Coming from an athletic background where he played competitive hockey at a very high level and developed a reputation as a playmaker, Jared brings the same kind of passion and performance to his role as Account Executive with 8760. The difference now is that Jared does not keep score in terms of wins and losses but rather he takes great pride in finding win-win situations with his clients. Combining his play making skills with his educational background and his knowledge of the electricity and natural gas markets, Jared works closely with his clients to develop a game plan that is designed to help his clients save money and/or contain costs over the short and long term. Outside of work, Jared loves to explore new cultures through his travels and stays energized through his love of sports and a variety of outdoor activities. 8760 prides itself on employing experts in the fields in which we operate and Trevor Smereka is the quintessential representation of that approach. A seasoned expert with over 25 years of business experience, complemented with a Bachelor of Commerce and a Chartered Accountant designation, Trevor brings tremendous skills and insights to his customer relationships. Energy markets are in a constant state of market and regulatory flux and Trevor’s 20+ years of expertise in the industry enables him to help our clients identify resulting business challenges and strategies that will mitigate risks or capitalize on opportunities. Trevor has worked in the electricity industry since the early days of de-regulation and has extensive knowledge in the financial, commercial, operational, trading/position management and regulatory aspects of the industry. His hands-on experience includes financial controllership roles, commercial and contractual management of a large portfolio of coal and gas-fired power plants and expert knowledge of long-term power purchase agreements in Alberta. If there is something our customers need to know or understand about the energy business, Trevor is one of our resident experts that likely has the answer. If there are a few hours in the week left over for personal time, Trevor turns his attention to the other passions in his life – spending time with his wife and young son or figuring out a way to shave a few more points off of his golf handicap. Hal is what we call “well grounded”, which stems from his life-long passion for farming as well as his approach when finding solutions for his customers. Growing up on the family farm in southern Alberta, Hal appreciates the values, the hard work and the commitment that is required to drive success with this kind of venture. He brings the same down to earth approach when dealing with his business clients and clearly understands the challenges they face every day in terms of managing risk and growing their business. With over 17 years in the energy/utility industry, Hal brings a deep knowledge of the complexities of the energy markets and works hard to find solutions that are truly win-win for everyone involved – his values and approach to life demand it. Outside of work, Hal still gets charged up getting behind the wheel of the combine during harvest, spending time with his family and his 8 grandchildren, and enjoying the pleasures of the great outdoors around his home in Okotoks or at the family cottage. Having completed a BSc in Physics, Shaney truly understands what makes the world turn. She also understands what it takes to keep 8760’s customers happy – exceptional customer service and providing honest, transparent advice. 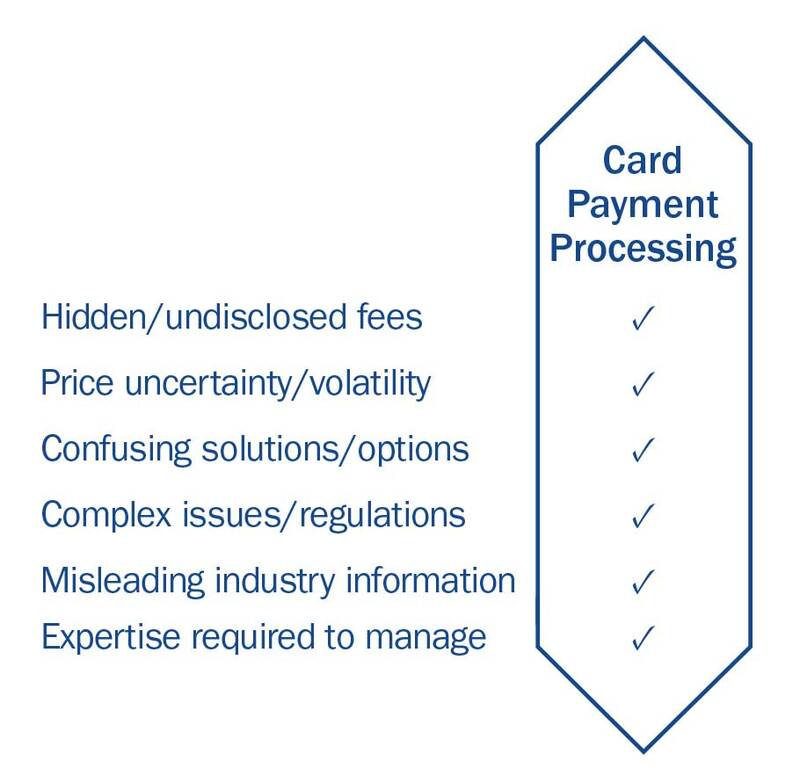 With over 10 years of card payment expertise under her belt, Shaney works diligently to help her clients understand the ins and outs of the credit card payment industry and explores ways to reduce their processing costs. Part of 8760’s value proposition to clients is that we are committed to adding value and providing solutions that work and Shaney’s focus is to live these values each and every day. Outside of work, Shaney and her family are totally passionate about sports and she enjoys watching her 2 daughters compete at a very high level of soccer and volleyball. Andrea knows what it means to balance risk with reward. For most of her young adult life, Andrea competed as an alpine racer at both the provincial and national levels, traveling and competing all over the world. Through her experiences, she has gained a genuine passion for people. What makes her stand out is her effortless ability to communicate, her contagious smile, and her outgoing personality. She is a highly driven individual and cares deeply about providing clients with our unique and valuable service. At 8760, we take great pride in helping our customers and working with them to ensure their business is well taken care of and that they are in the best position possible with respect to their various operating expenses. Just like in skiing, Andrea helps customers navigate obstacles and balances risks and rewards with effective cost management strategies. Outside of the workplace, Andrea still hits the slopes to stay active although that has been put on hold for this season as she and her husband await the arrival of their first child. Nigel is an entrepreneur at heart and loves the challenge of learning new things and finding new ways to achieve success. Armed with over 5 years of experience in the property management world coupled with a Bachelor of Commerce degree from MacEwan University, Nigel brings a combination of technical and practical expertise along with a genuine desire to help his customers to 8760’s team of sales experts. Customers will love his enthusiasm and his ability to find creative yet practical solutions to their business needs – the true marks of an entrepreneur. Outside of the workplace, Nigel likes to keep busy and is not one to sit around watching soap operas. Instead, he divides his time between the demands of his growing family, his passion for playing and refereeing ball hockey and a number of ventures he has on the go. Busy at work, busy in life – just like a true entrepreneur. Gary is a professional engineer with over 15 years of experience in the Alberta power industry. He brings a wide range of understanding with respect to traditional power generation as well as new green technologies including wind and solar. The electricity and natural gas markets are complex and requires expertise to navigate the various issues and know-how to develop strategies that will secure cost savings and/or cost certainties pertaining on the expense management front. Gary’s engineering mind coupled with his expertise in mechanical systems provides him with the tools needed to identify the unique needs of each of his clients and marry them up with the right solution. Outside of work, when time permits, Gary can be found navigating the slopes during ski season and hitting the golf course during the summer months. Seb is a transplanted Saskatchewanian and despite living in Alberta for nearly 30 years, he still cheers for his beloved Riders on any given Sunday. With over 27 years of experience in the financial services sector with a background in sales leadership, marketing, brand management, and 13 years of experience in the credit card payment industry, he brings a well-rounded approach to taking care of 8760’s customers. Seb believes that the secret to success is to have a strong sense of loyalty and commitment, to work hard but work smart, make a difference every day, and have some fun along the way. He certainly employs these values when looking for opportunities to save customers money or bring cost certainty with respect to their natural gas, electricity and card payment expenses. On the weekends, Seb can be found cruising the highways on his motorcycle, kayaking on the North Saskatchewan River or traveling to various cities with his wife to watch professional baseball and on occasion, his beloved Riders. Having careers in both Finance and Automotive Industries, Jim brings a high level of customer satisfaction to 8760 and he believes in our core value of putting our customer’s interests first. Jim is very active within his community and due to his friendly demeanor and ability to connect with people, has a large network of clients and business contacts from which to draw. Jim served as President of Whitemud West Hockey, a past Board Member of Kids with Cancer, as well part of the ownership group of the Sherwood Park Crusader’s Junior “A” franchise. Dale Rix is a long time 8760 employee who gets energized watching Formula 1 car racing which likely explains why he excels in his role as Director, Operations. Possessing the ability to manage multiple things on the fly, navigating through tricky situations, and moving at a tremendous rate of speed fits perfectly with his responsibilities. With over 18 years of financial services experience including 12 years in the card payment industry, Dale has a deep understanding of operational issues that impact our customers and he works diligently to ensure things run smoothly day in and day out. Dale has a solid reputation with 8760’s customer base and is known as the “go to guy” to get things done. When he is not working or watching car racing, Dale can be found enjoying a nice glass of his latest wine discovery or spending quality family time with his wife and young daughter. Ken was probably a superhero in a previous life. We say that because Ken is always coming to the rescue of his clients when it comes to helping them with their expense management challenges. Armed with a deep understanding of electricity and natural gas markets, an ability to make the complex simple and a can-do attitude to get things done, Ken has an innate ability to see through the obstacles in front of customers and is able to develop strategies and solutions that actually work to improve their situation. This ability has been spawned out of 20+ years of sales and sales management experience inside the energy and telecommunication sectors along with Ken’s genuine passion to help our customers. Ken’s experience includes electricity and natural gas generation, production, distribution and transmission, procurement and contract negotiation. Outside of work, Ken also relies on his Superman persona to balance the demands on his time given his love of golf, spending time in the great outdoors, his 4 teenaged kids, and traveling with his wife. INDUSTRY EXPERTISE – 8760 employs experts in the electricity and natural gas industries. We have worked in these markets for many years and we know the business from end to end. More importantly, we use our industry know-how to help achieve your cost management goals. UNBIASED ADVICE – 8760 is neither an energy supplier nor an energy retailer. Instead, we are an independent party that essentially works for you to provide unbiased advice and solutions that strive to make your business stronger. POOLED PRICING MODEL – The pricing strength in our business comes from aggregating our customers’ electricity and natural gas needs into a “pool” of business. We then take that pool to the market to have various players compete for the business. This ensures you get the most competitive arrangement possible, and will be much better than if you forge ahead on your own. MARKET MONITORING AND STRATEGY DEVELOPMENT – 8760 monitors the commodity markets for trends with respect to pricing peaks and troughs. We work closely with our clients to devise strategies that will take advantage of pricing lows and minimize the impact of spikes in the market. This helps our customers better manage exposures to the electricity and natural gas open markets and the resulting costs. PROFESSIONALLY MANAGED PROGRAM – 8760 provides industry expertise and manages your electricity and natural gas program for your company. This ensures your valuable time and resources can be focused on those activities that are core to your business. TRUST AND INTEGRITY – Our focus is on our customers. Being transparent and forthcoming about how these industries work will help drive solutions to better manage your recurring natural gas and electricity expenses. Simply, we win when you win. The table below outlines savings that 8760 has been able to secure for a variety of businesses simply by providing them one of our no-cost, no-obligation card payment check-ups. Due to privacy, we are unable to outline the names of the clients but the savings are real. Contact Us today to see how 8760 can help your business. Thank you for contacting our credit card processing department. We strive to reply to all messages within 2 business days. This gives us time to properly prepare for a conversation with you so we can provide an optimal solution based on your needs. The information you provide is help in the strictest confidence and is never shared with outside parties. Your contact information will not be used for unwanted communication at any time. The following questions are all optional. They help us prepare for contacting you. Hold CTRL to select multiple options. Thank you for contacting our Electricity & Natural Gas division. We strive to reply to all messages within 2 business days. This gives us time to properly prepare for a conversation with you so we can provide an optimal solution based on your needs. The information you provide is help in the strictest confidence and is never shared with outside parties. Your contact information will not be used for unwanted communication at any time. Most fields are optional to make completion as fast as you want it to be. 8760 can still provide savings if you are but the strategies we use are different. When is the approximate end date? How did you hear about 8760? We reward our customers who refer others. Please let us know if you were referred by someone in particular. YES, I would like to receive updates, promotions, and communication from 8760 in the future.